Rated 4.3 stars based on 3 votes. Coleman Proprietary Parts – What Made a Coleman a Coleman? The question comes up from time to time, as mentioned in the previous postings, "Where Can I Find Coleman Wheel Bearings" and such. Historically, there have always been essentially two types of truck builders: 1) those who built their trucks from the ground up, using primarily parts or assemblies they had been manufactured themselves (example, Mack Trucks), and 2), those companies who began with their own patented proprietary parts or assemblies, then built a truck around that using open source vendors for all other needed parts and assemblies to finish the truck. Coleman always fell in this latter category, using their own patented or propriety components as a basis, then building a truck or aircraft towing tractor around that, using open source vendors. 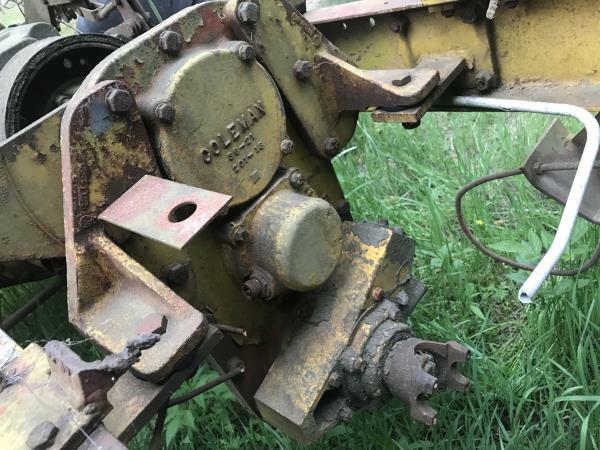 While there are several other notable exceptions, the primary assemblies that made a "Coleman a Coleman" were the "steerable Coleman FDA" (front drive axle) and the "Coleman Transfer Case." Some G-55 and EH-62 trucks did have a somewhat unique rear axle assembly, and of course the G-40 (MB-4) and G-75 (U-18) simply had steerable Coleman FDAs on both front and rear. The purely "Coleman" sub-assemblies in the Coleman FDA were the axle-housing casting, the hub-housing castings, the patented "power yoke and compensating ring," the hub itself, the heavy dome hub protector, and several lessor fittings and adapters. The axle "shaft" itself was always Wisconsin (later bought out by Timken), and the bearings, etc, were largely open source. Not sure about the steering knuckles. The same is true of the "Coleman Transfer Case" (and housing) – always based largely on Spicer parts, then later Dana Corporation, as on the EH-62. Coleman designed their own transfer cases, but using many Spicer components and sub-assemblies in the process. So, bottom line, unless you need an actual Coleman power yoke, compensating ring, or other Coleman-specific castings and such, many parts (but not all) can be found from open-source vendors. 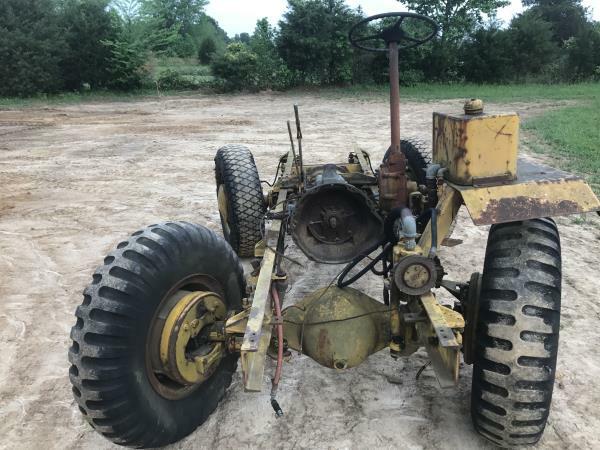 They may have been assigned a Coleman part number for inventory and assembly line purposes, but they were often "right off some vendor's shelf," and supplied to meet very exacting Coleman specs. >>> As an additional after-thought, International Harvester (IH) used large numbers of special-order Coleman FDAs on their heavy truck and Farmall tractor assembly lines, and while IH assigned their own IH front drive axle model numbers (such as the FA-140) on their catalog pages and such, they were all "most likely" Coleman "Model-9" FDAs, and even if slightly modified for IH use, they may have used many of the same internal components, such as the wheel bearings. While IH preferred to use a "cake pan" style hub-protector on their trucks, internally, the hub components were perhaps virtually the same. Conversely, IH Farmall tractors tended to instead use the standard "Coleman" heavy dome hub protectors. 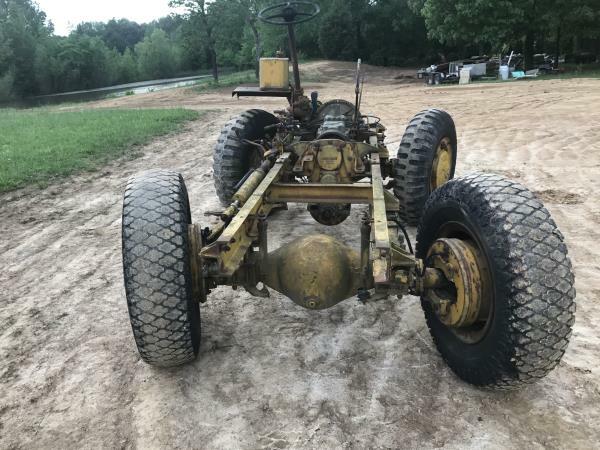 You might want to try IH distributors, or distributors of historic IH parts, to see if you can match the needed specs for wheel bearings and such. Mark, I would assume the wheel bearings aren't anything special. There are probably bearing manufacture numbers on them, not Coleman numbers and should be easy to source at a power transition supplier (bearing store). If there are no numbers on them they can be identified by ID, OD and width. Ya know what they say about assuming things. Craig, we plan to be at the show on Saturday. I will try to find you. We plan to check out as many vendors as we can and then check out the trucks. As we have never been to a AHTS show it will be a learning experience. I am also going to try and pm you with my cell number if you want to try and call me Saturday to meet up. Another thing that had me thinking when I see these Coleman tugs is the front wheel bearings. The hubs look identical to my Coleman "kit" Ford F4. So I wonder if anyone has every had any luck sourcing reasonable front wheel bearings? I assume tugs travel MUCH slower and have fewer miles than a truck would have so maybe the wheel bearings have held up better on tugs? Hi, thanks for the reply! 561137 is the serial number but unfortunately I could not find a data plate on the transfer case. 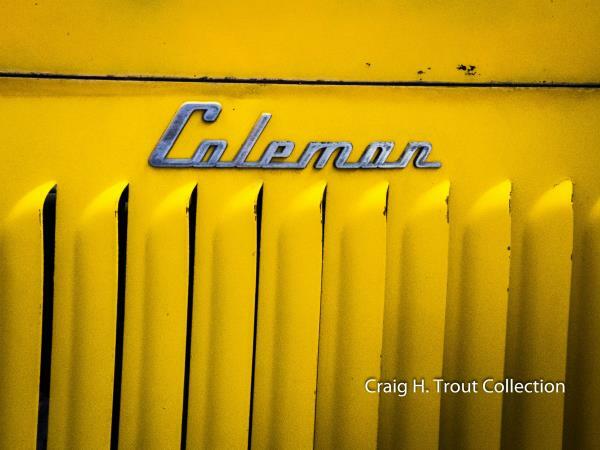 Based on the serial number you provided, it appears that you have a the chassis for an "American Coleman G-40-B2" manufactured in Littleton, Colorado sometime in 1961.
would have looked virtually identical. 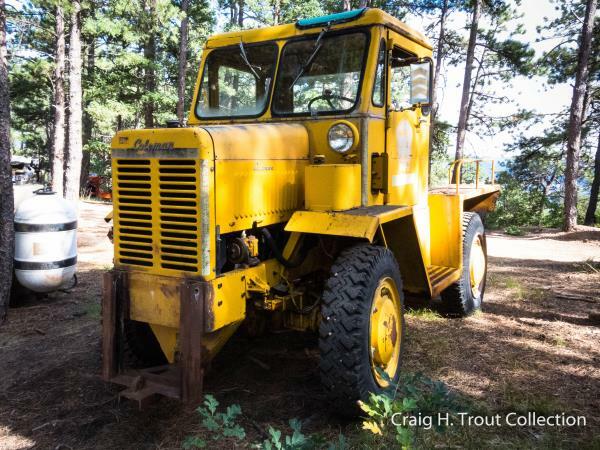 A later owner added the snow plow lift frame in front. Photo by Craig H. Trout, please credit. To clarify, American Coleman developed its G-40 prototype in 1954, in response to a USAF "call for bids" to satisfy requirements ("specs") for the their newly-created "MB-4" classification for smaller aircraft towing tractors better suited for lighter fighters and bombers then coming on the scene. Over the years from 1954-1981, the G-40 went through (8) major variants (A though H), while very minor modifications would simply be noted with a numerical suffix within that particular variant. Hence, your G-40-B2 was a minor modification of the "B" variant, but not yet significantly different enough to justify a "new" variant. Variants A-F all looked very similar, but then variants G & H had a newly-designed cab, with a hood that could be tilted forward for easier maintenance. Also, while all American Coleman G-40s were classified as USAF "MB-4s," other manufactures also won MB-4 contracts (same operational specs, but very different appearances), to include Grove, Entwistle, NMC-Wollard, PSI, Dodge "bob tails," and perhaps others. Email me at craigtrout@aol.com for additional details. Hi there. First time joining a forum. Took a bit of research to find you guys so hopefully I'm doing this correctly! Recently traded a truck for this frame I believe to be a former Coleman tug. I was hoping someone might have more information like gear ratios and transfer case ratio. I've seen some photos with Chrysler 318's or 360's and my transmission appears to be Chrysler. Any idea how it worked? Looks like the hydraulic hoses ran through it, had a shifter, but a torque converter also? I'm not familiar with this set up so any information at all would be greatly appreciated! 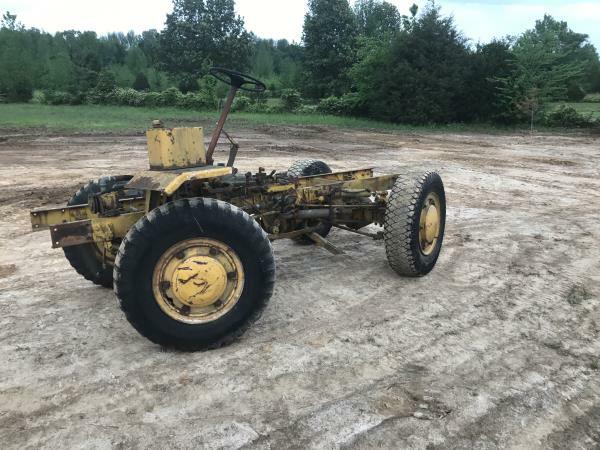 Yes, that appears to be the chassis for an American Coleman G-40 (MB-4) aircraft towing tractor. Can you find a serial number stamped into the driver's-side frame rail, perhaps even with the front wheel or so? In the alternative, does the transfer case still have its data plate with the transfer case model number and date? If we can identify the date and model of your G-40, there is "some" chance I may have the appropriate manual on hand. ATHS Des Moines – Lets Talk Coleman Trucks! I will be attending the 2017 ATHS National Convention and Truck Show in Des Moines, Iowa on May 25th through 27th, to include "Tour #8" of the I-80 Truck Stop in Wolcott, IA on Friday the 26th. 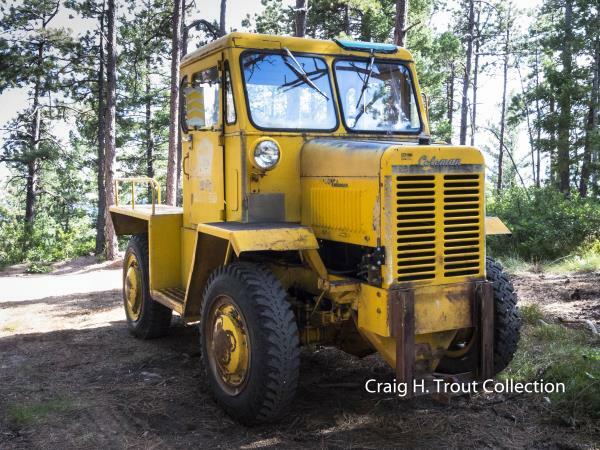 • Although it is not a well-known fact, while Coleman trucks were sold throughout the West, Mid-West, and well up into the Northeast, Iowa county road departments were by far the largest purchasers of Coleman trucks, second only in sales to Colorado state & county road departments. I am hopeful that some Coleman "survivors" will be in the Des Moines truck show, as well as some Coleman FDA (front drive axle) conversions. Iowa farmers also purchased a significant number of farm tractors with special-order Coleman FDAs installed while on the IH Farmall (by far the largest user), Cockshutt, Minneapolis-Moline, and Oliver tractor assembly lines. 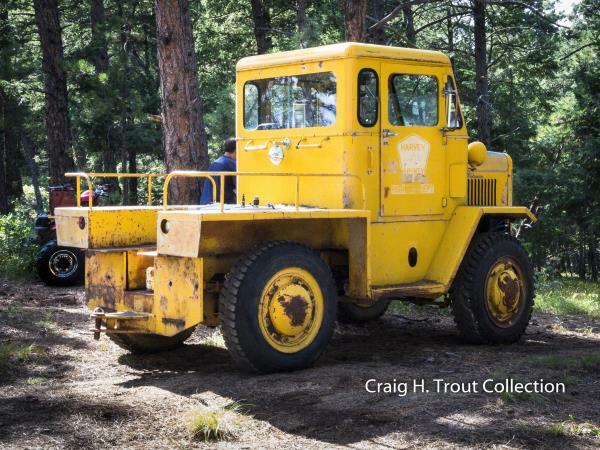 • Also, the I-80 Truck Stop historical collection includes Don Chew's beautiful restoration of a 1941 Coleman G-55. Interestingly, the "I-80" G-55 is a younger sibling of the restored 1941 Coleman G-55 #7109 currently on display at the Bickford Pavilion, Yarmouth, ME. The "Bickford" G-55 was from early in the 1941 production year, when Coleman briefly experimented with using Highland cabs, while the "I-80" G-55 was from later in the year when Coleman went back to fabricating its own cabs, but this time out of aluminum. I will be roaming around in a bright orange Coleman cap, so please introduce yourself if you want to stop and talk Coleman trucks! I will also have a very small number of Coleman caps and patches with me, while the supply lasts. Jeff Sabo has just told me that he has decided to sell his 1960 American Coleman G-40-B1 (MB-4), and is asking $3500. I have seen this unit in person, it runs great, and it is nearly "parade ready," as well as for "truck show duty" and such. 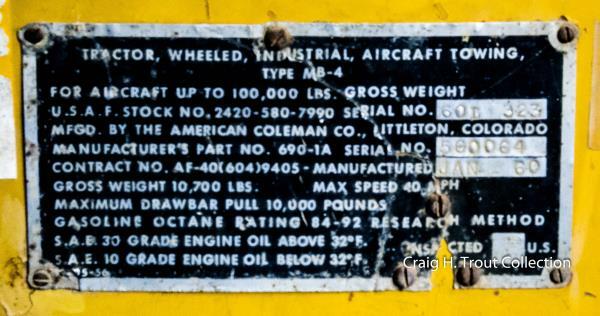 The USAF data plate and all Coleman name plates are still present, and the unit is very nearly in "as built" condition, with the exception of a snow-plow mounting frame on the front end. 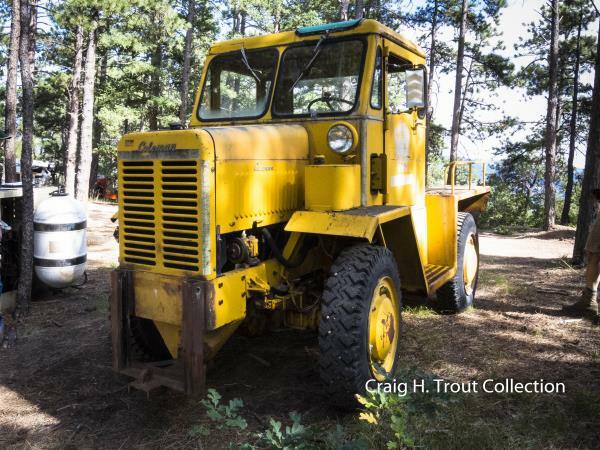 (snow plow will be included in the sale) Considering that it is in nearly original condition, virtually complete, and runs well, I would think his asking price is very fair. Located south of Denver, near Sedalia, Colorado. Text Jeff Sabo directly at 720-648-2137. Background: Jeff Sabo's 1960 America Coleman G-40-B1 ("MB-4") U.S. Air Force towing tractor was built in January of 1960, serial number #560064. American Coleman called the model the "G-40," and produced variants "A" through "H" from 1954 until about 1981. Sub-variants involving only very minor changes were simply given a numerical suffix, hence Jeff's 1960 G-40 is a "B1" variant. Over 2,000 units were eventually produced, and the last two variants, "G" and "H" also included a major body change with a more modern looking tilt-forward cab. The USAF designated the G-40s as being a member of the "MB-4" classification (multiple manufacturers), but many Air Force guys simply called them "tugs," although they were never known by that nickname in common American Coleman usage. Technical Details: Jeff's G-40-B1 weighs in at 10,700 lbs; has a drawbar pull of 10,000 lbs; is rated for aircraft up to 100,000 lbs; an overall length of 161.5", a top (governed) speed of 40 mph; and came powered with a with a 94 hp 6-cylinder "L-Head" Chrysler "Industrial-30" gasoline engine. The G-40 had 4-wheel-drive, 4-wheel steering, a turning radius of 15', and was noteworthy for its very agile ability to "crab" into difficult-to-reach positions. The CF-55-AF and F-55-AF were both used on US Airforce bases in the UK. My father purchases a Coleman CF-55-AF and one, or possibly 2, Federal F-55-AF as ex-military stock from the US army. He set up himself up with a breakdown and recovery business (wrecker business to you in the state) in 1964 and I believe that he purchased them some time later - still in the 60's or early 70's. 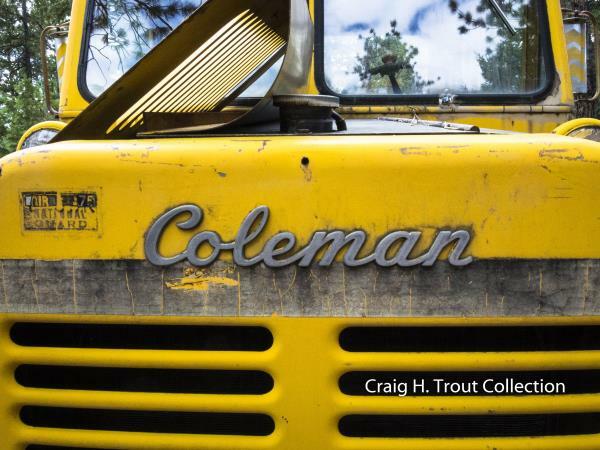 He used the Coleman extensively for many years, including a lot of snow ploughing and heavy vehicle recovery work. He used the federals for spares, showing how compatible they where - excluding the drive train, of course. There is a rumour that the Coleman CF-55-AF is still around. Great post! Where was this in the UK? Any family photos of the CF-55-AFs or F-55-AFs in action? I liked your comment regarding how truly compatible the two versions were, with the exception of the drive trains, axles, hubs and such. That had been exactly my own understanding also, and you fully confirmed it. Did your father also get any manuals or paperwork with any of the units? My own father, who worked at Coleman for 30 years, used to joke that the CF-FF-AF had so much pulling power, "it could pull the truth right out of a politician!" Ha! Dad's very first assignment when he hired on in 1950 was "winterizing" CF-FF-AFs that were scheduled for shipment to a US airbase in Iceland, I think it was. Again, truly post, thank you for sharing!